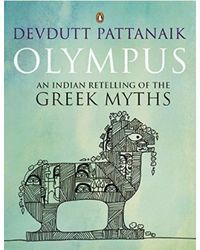 Devdutt Pattanaik writes, illustrates and lectures on the relevance of mythology in modern times. He has, since 1996, written over 30 books and 600 columns on how stories, symbols and rituals construct the subjective truth (myths) of ancient and modern cultures around the world. 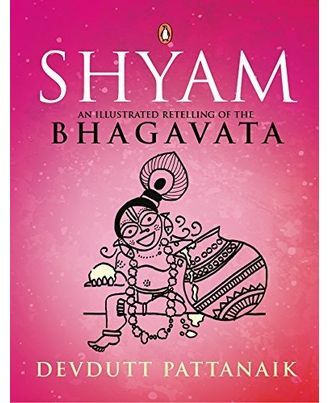 His books with Penguin Random House India include The Book of Ram, Jaya: An Illustrated Retelling of the Mahabharata, Sita: An Illustrated Retelling of the Ramayana, The Girl Who Chose and the Devlok with Devdutt Pattanaik series, among others. He consults with corporations on leadership and governance, and TV channels on mythological serials. His TV shows include Business Sutra on CNBC-TV18 and Devlok on Epic TV. To know more, visit devdutt.com. About the Book :In the forest of insecurities, is it possible to discover humanity through pleasure? Can we stop seeing each other as predator, prey, rival or mate, and rediscover ourselves as lovers?Does the divine reside in sensual delight, in emotional intimacy and in aesthetic experience? Yes, yes, yes.That is the promise of the Bhagavata. The Bhagavata is the story of Krishna, known as Shyam to those who find beauty, wisdom and love in his dark complexion. It is the third great Hindu epic after the Mahabharata and the Ramayana. However, this narration was composed in fragments over thousands of years, first as the Harivamsa, then as the Bhagavata Purana, and finally as the passionate songs of poet-sages in various regional languages. 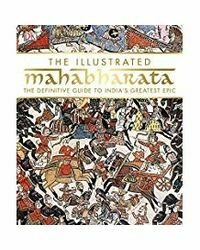 This book seamlessly weaves the story from Krishna's birth to his death, or rather from his descent to the butter-smeared world of happy women to his ascent from the blood-soaked world of angry men.About the Author :Devdutt Pattanaik writes, illustrates and lectures on the relevance of mythology in modern times. He has, since 1996, written over 30 books and 600 columns on how stories, symbols and rituals construct the subjective truth (myths) of ancient and modern cultures around the world. 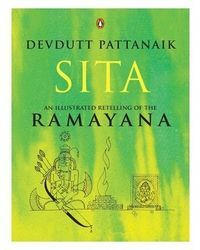 His books with Penguin Random House India include The Book of Ram, Jaya: An Illustrated Retelling of the Mahabharata, Sita: An Illustrated Retelling of the Ramayana, The Girl Who Chose and the Devlok with Devdutt Pattanaik series, among others. He consults with corporations on leadership and governance, and TV channels on mythological serials. His TV shows include Business Sutra on CNBC-TV18 and Devlok on Epic TV. To know more, visit devdutt.com.